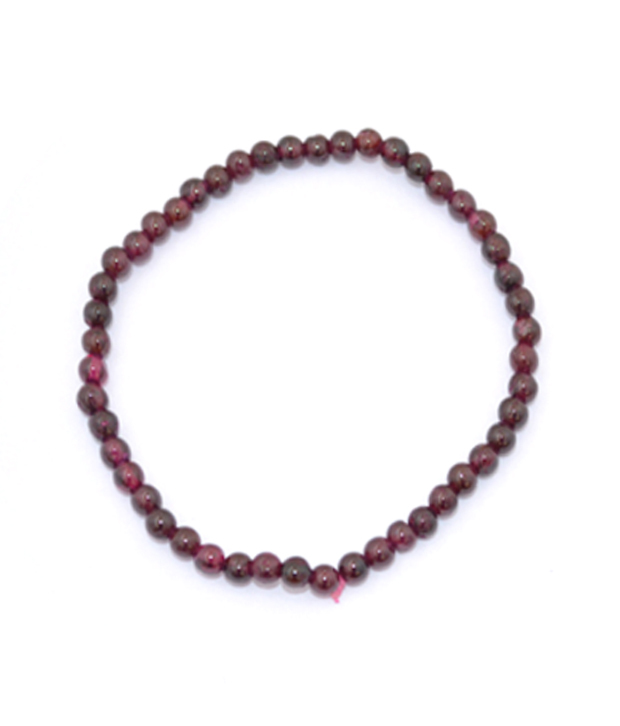 These Energized Semiprecious garnet bracelet have a beautiful deep red color, inspires love and passion, devotion and loyalty. Garnet has been used for centuries by emperors, knights, and warriors as a protective Talisman, by Hindu and Buddhist followers as a holy stone of enlightenment, as well as by Native North and South American Indian, Aztec, Mayan, and African Tribal cultures. The flash and fire of Garnet inspires a sense of lightness and brightness, illuminating to dark places and dark souls. Garnet is a good stone for depression, bringing joy and hope to its user, and helps lessen anger, especially towards oneself. Garnet's fire stimulates the survival instinct, bringing willpower and courage to a situation. Garnet will quickly "light a fire" under you, bringing those internalized ideas and feeling you have to the surface to be acted upon and carried out. its powerful healing crystal to heal heart related disease. Disclaimer: These Semi Precious stone/Beads are believed to bring about all the good things. We do not guarntee its success and are not responsible for any claims. Any person with a conditions requiring medical attension should consult a qualified practitioner or therapist. Product colour may slightly vary due to photographic lighting sources or your Screen settings.